Other Products by Herbs Of Gold. 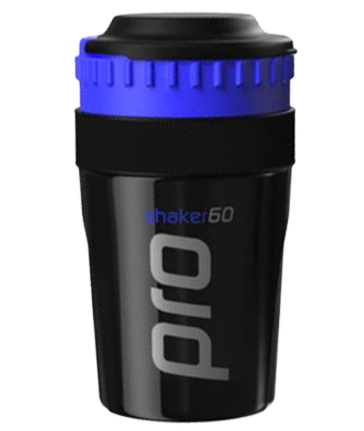 Search other Bone Health products. 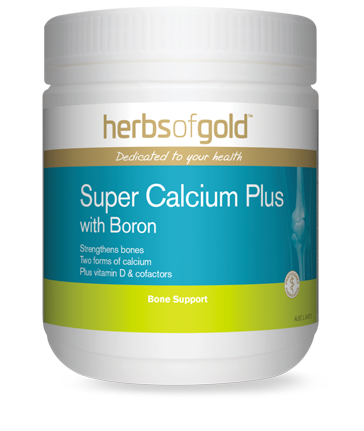 Herbs of Gold Super Calcium Plus with Boron has been formulated to help prevent nutritional deficiencies of calcim and other minerals. Though calcium is often the focal point of nutrition when it comes to bone health, there are in fact a wide range of nutrients essential for the strength of this tissue, such magnesium, silicon, boron, Vitamin K and zinc1. Many of these nutrients have been studied individually with relation to bone mineral density, such as zinc. 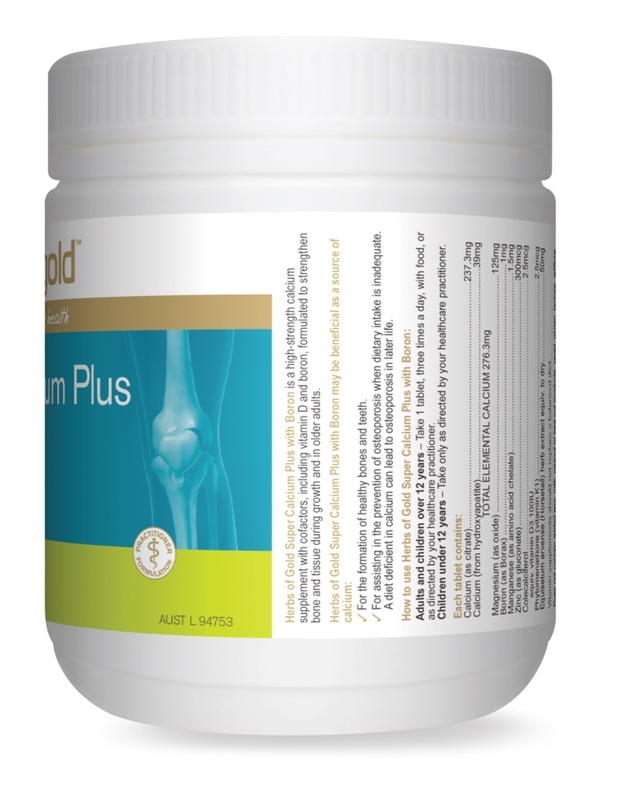 This mineral was shown to be an important determinant of postmenopausal osteoporosis risk2. In fact, one of the most important determinants for bone mineral density and osteoporosis prevention is weight bearing exericse. The stress caused by muscles pulling on bones causes them to fortify and build, just as a muscle does. The ideal exercise would involve both upper and lower limb exercises. 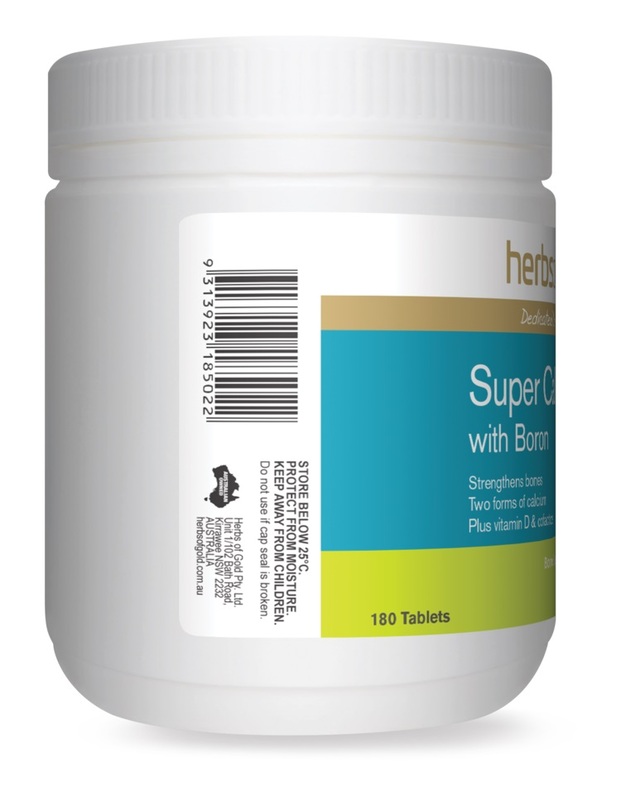 Herbs of Gold Super Calcium Plus with Boron is a high strength calcium supplement with cofactors, including vitamin D and boron, formulated to strengthen bone and tissue during growth and in older adults to maximise bone density and recduce risk of osteoporosis. 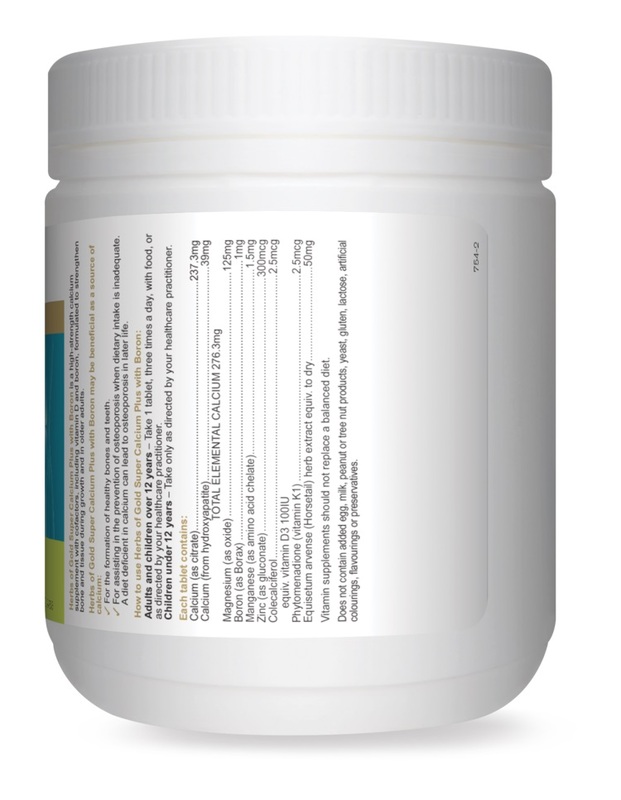 Adults - Take 1 tablet, three time daily with food or as directed by your healthcare practitioner. Does not contain any added egg, milk, peanut, soy or tree nut products, yeast, gluten, lactose, artificial colourings, flavourings or preservatives.